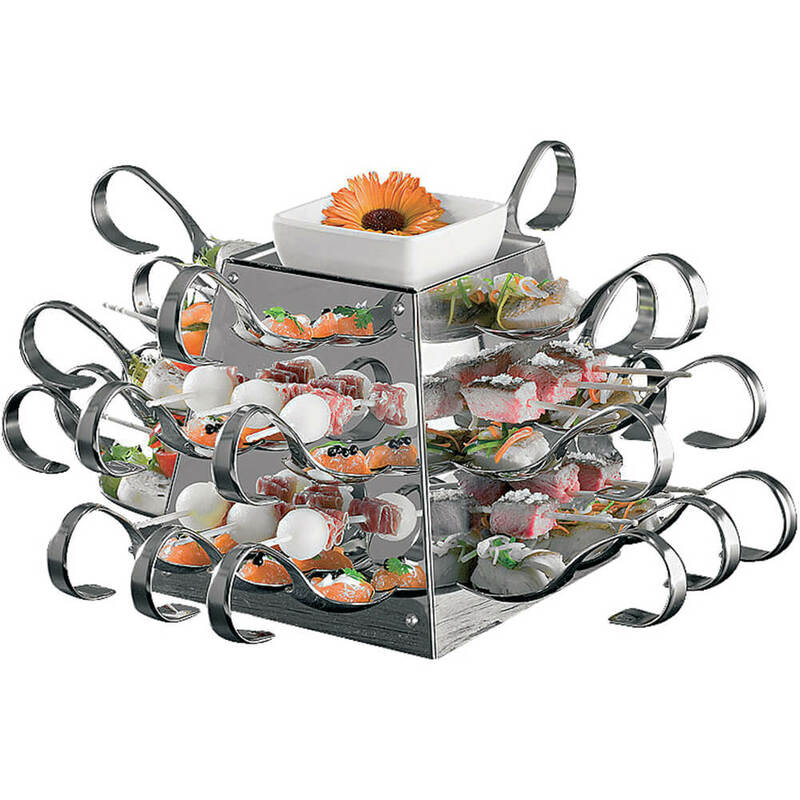 The APS Paderno World Cuisine stainless steel buffet display has slots and holes in which to place tasting spoons and skewers. The set includes the stand, a stainless steel tray, 24 tasting spoons and 24 wooden skewers. This display is great for hygiene since guests aren't touching the food with their hands. This product is brand-new, unused in its original packaging (where packaging is applicable) as shipped by APS. The APS Paderno World Cuisine stainless steel buffet display has slots and holes in which to place tasting spoons and skewers. It also comes with a stainless steel tray for the top. The top tray measures 4 1/2" square. The set includes the stand, a stainless steel tray, 24 tasting spoons and 24 wooden skewers. Each spoon can be filled with anything from a piece of sushi to a bite-size appetizer. The skewers can hold anything from a piece of rotisserie chicken to a chunk of melon. This display is great for hygiene since guests aren't touching the food with their hands. Each spoon measures 5 1/4" long and each skewer measures 6" long. It has four round rubber feet to prevent slipping. 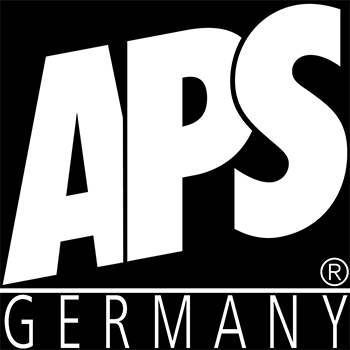 Size:6.625" X 6.625" X 6.625"
APS guarantees their products to be free of defects in material and workmanship for 1 Year. The warranty does not apply to damage caused by abnormal or unreasonable use of any of the implements (including repairs or alterations other than by our Authorized Service Center) or normal wear and tear.